A ROAAring congratulations to McGill biologist Dr. Ehab Abouheif and his team of researchers on their study of ants, which led to the discovery of a solution to an evolutionary conundrum that made Charles Darwin question his own theory of natural selection. Dr. Abouheif recently stopped by the Rare Books and Special Collections (RBSC) reading room to admire a first edition copy of Darwin’s famed work, On the Origin of Species. ROAAr’s Darwin holdings don’t stop there, though – far from it. We thought we’d take this opportunity to highlight some of the exciting Darwin works in our collections (though this is not an exhaustive list – contact us if you’d like to know more!). “The zoology of the voyage of H.M.S. Beagle, under the command of Captain Fitzroy during the years 1832 to 1836.” London: Smith, Elder, 1839-1843. Blacker Wood folio QH11 Z66 1839. The Blacker Wood Natural History Collection, which Dr. Abouheif describes as having been a vital resource during his postgraduate studies, includes a number of publications by Darwin. 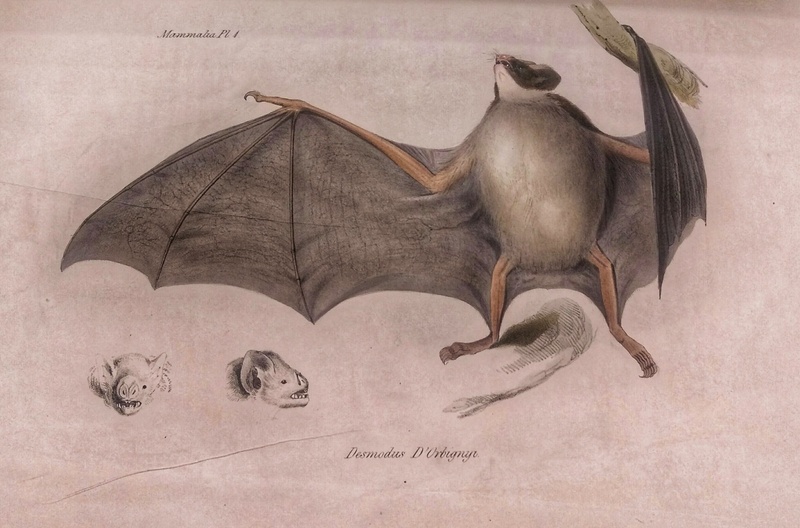 A few of the highlights from our holdings include: The zoology of the voyage of H.M.S. Beagle (1839-1843), which contains hundreds of striking full-colour illustrations documenting the specimens collected by Darwin during his time aboard the Beagle; his two major publications documenting his research on barnacles; first editions of landmark works such as The variation of animals and plants under domestication (1868), The descent of man (1871), and The expression of the emotions in man and animals (1872), along with many of his works on species variation in plants. “Letters and autographs of zoologists with biographies and portraits.” [S.l. : s.n., 19–?]. Blacker Wood Manuscripts QL26 W66, v. 1-12. 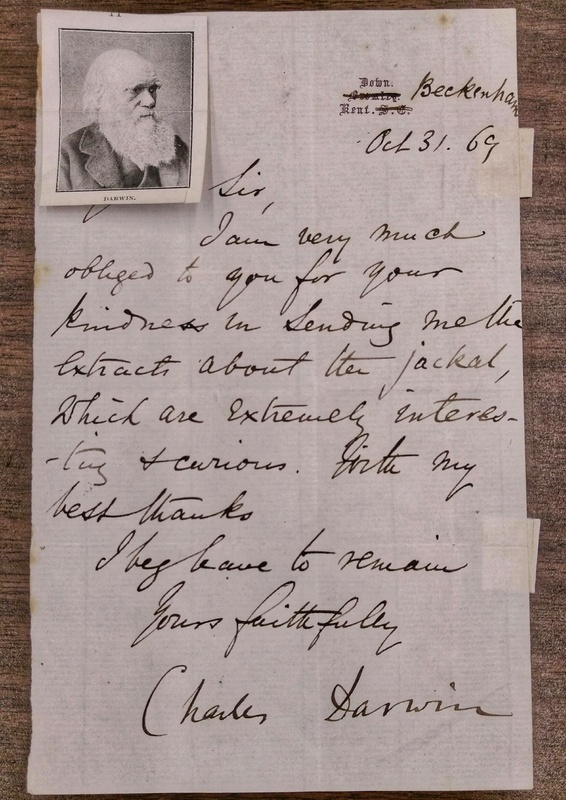 These published works are supplemented by a number of handwritten letters, sent by Darwin to geologist Henry Woodward, which were later compiled in a scrapbook by Woodard’s wife, Ellen. 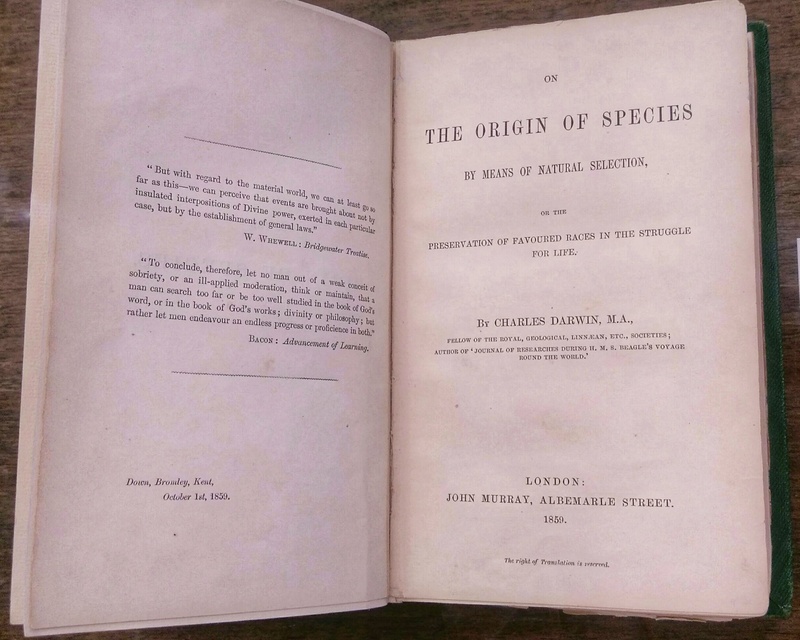 Perhaps most significant, however, is the fact that the Blacker Wood collection holds not only the first edition of On the Origin of Species (1859), but also the third, fourth, and sixth editions of this milestone work in the history of science. When the first edition of a scientific work is published, it immediately invites critique, and is often followed by a re-examination of experiments and data. As a result, when subsequent editions are published, they often include large amounts of new information. “On the origin of species by means of natural selection: or, The preservation of favoured races in the struggle for life.” London: J. Murray, 1859. Blacker Wood QH365 O2 1859. Darwin’s Origin of Species provides a fantastic example of this process. Between the publication of the 1st edition in 1859, and the 6th edition in 1872, a whopping 379 sentences were dropped, 5,612 sentences were altered, and 1,529 sentences were added, along with new addenda, tables, and prefatory material. It wasn’t until the 5th edition that Herbert Spencer’s phrase “survival of the fittest” was even used, and it wasn’t until the 6th edition that Darwin chose to include the word “evolution.” (Our thanks to Richard Landon for this remarkable bibliographic analysis). Looking at multiple editions of the same work allows students and researchers a unique and fascinating view into the gradual development of Darwin’s theory. Tracing the changes in these early editions can also shed light on the publication history of the work, the life of the author, on the printing and editorial process, and on the political circumstances surrounding a work’s publication – details that go far beyond what one might find in a general biography. Darwin was a supremely thorough researcher, who famously spent eight years solely examining the barnacle. He was also known for graciousness in his dealings with colleagues. This charming combination of qualities shines through in letters penned by him and housed in ROAAr’s Autograph Letter Collection. In one, he writes, “Forgive me for asking… Do you chance to know if the male woodpecker takes a share in incubation?” before signing off with characteristically effusive gratitude. In another, he writes, “Very many thanks for your attempts to find out about the mandrills”. Nearly all of the letters start and end with some variation on the theme of “many, many thanks”. 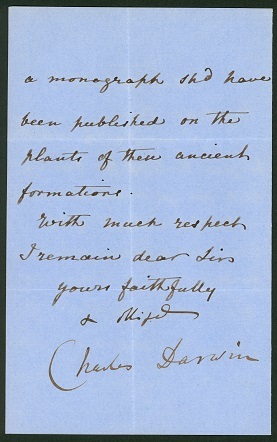 Elsewhere in the Autograph Letter Collection, there is a letter penned by Darwin’s grandfather Erasmus, a colourful Enlightenment thinker who, amongst many other things, wrote epic poems about Linnaeus’s taxonomic system. In the letter, he advises a friend trying to recover from an opium habit. “Onions might be a good article of food for you”, he writes. Osler Prints Collection, number OP000349. A history of medicine library might not be the first place one would think to look for materials relating to Darwin and debates about evolution, but the Osler is home to many works that are generally regarded as forming the intellectual foundation of Western science and medicine. Thus, among its books are several editions of books authored by Charles Darwin and his critics. Among those is On the tendency of species to form varieties: and on the perpetuation of varieties and species by natural means of selection, the 1858 precursor to On the origin of species (of which the Osler has editions from 1861, 1872, 1885). Another – arguably more closely related to the Osler Library’s strengths in the history of neurology and psychology – is a first edition (1872) of Darwin’s The expression of the emotions in man and animals. In addition to Darwin’s own writings are several works from his contemporaries, such as responses to On the origin of species by Samuel Wilberforce (1860) and Richard Owen (1860). Coming a few decades later and presenting the French perspective are volumes by Armand de Quatrefages de Bréau: Darwin et ses précurseurs français (1892) and Les émules de Darwin (1894). 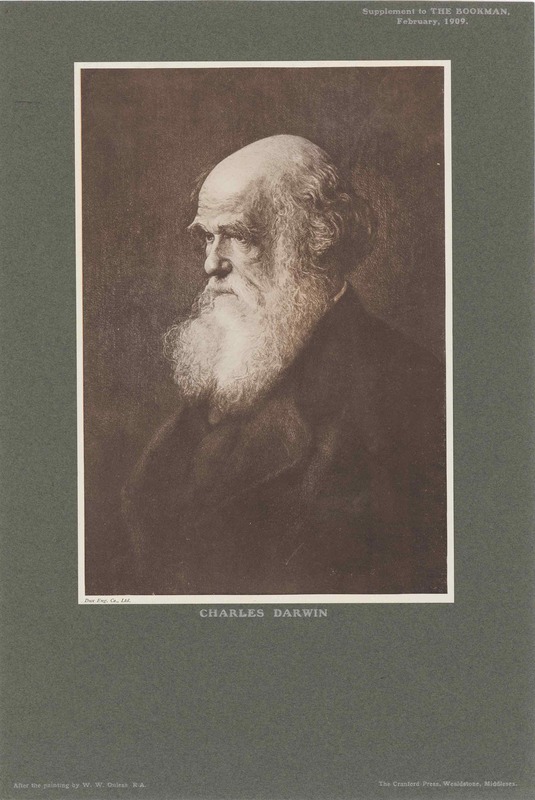 Besides books, the Osler Library holds an extensive prints collection, in which there are a few images of Charles Darwin and several of his physician grandfather, Erasmus Darwin. The library also has archival holdings, including the S.C. Simpson Collection of Darwiniana. 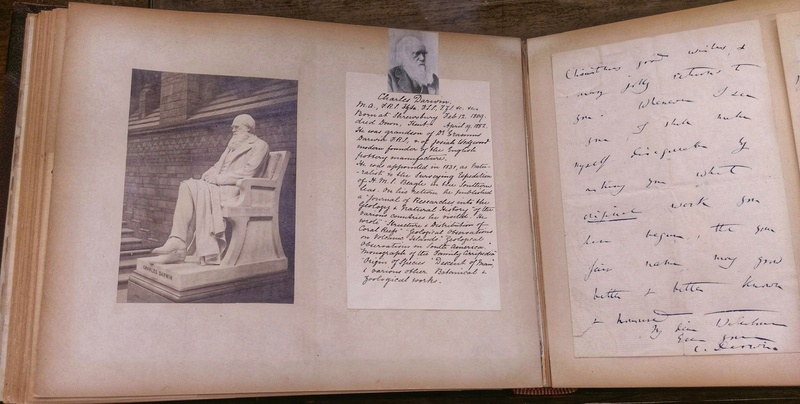 Dr. Simpson was working in England at the time of the centenary of Darwin’s birth in 1909 and collected newspaper clippings, programs, dinner menus, and other commemorative items. Although John William Dawson (1820-1899) – geologist and former principal of McGill University – spoke against Darwin’s theory of evolution in many of his publications, that did not prevent the two of them from exchanging ideas on many science subjects, including geology and what would become palaeobotany. 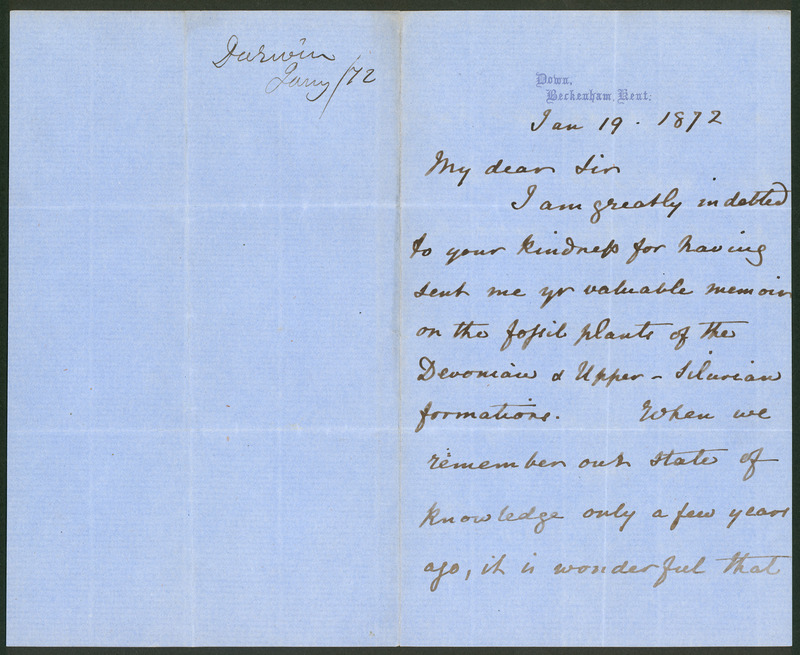 In this letter from Charles Darwin to John William Dawson, Darwin thanks the latter for his work on the fossil plants of the Silurian and Devonian rocks of Canada, that he wrote for the Geological Survey of Canada. McGill University Archives holds several archival fonds of geologists of this era, including John William Dawson’s eldest son George Mercer Dawson (MG1022), William Edmond Logan (MG2046), and Joseph William Winthrop Spencer (MG3038). This is but a brief sampling of ROAAr’s extensive Darwin-related holdings. Please contact any of the following staff for more information: Elis Ing (Archival Collections & Manuscripts, RBSC), Lauren Williams (Blacker Wood Collection, RBSC), Mary Hague-Yearl (Osler Library of the History of Medicine), and Frédéric Giuliano (McGill University Archives). ‹ 2018 Library Ice Cream Socials: a Delicious Success!